Only the traffic lights display green under the bare branches of plane trees in Frankfurt, Feb.5. An apple tree near the tiny Black Forest village of Monakam, some 200 kms (120 mls) straight south of Frankfurt, Sep.17. In the little Black Forest village of Monakam, Sep.17. 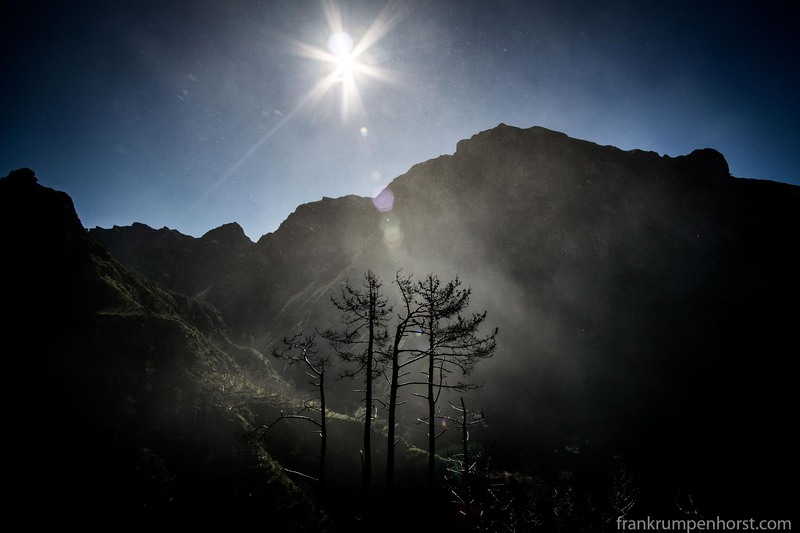 Dead trees in the sunlight over Serra de Agua, central Madaira, Portugal, Feb 28. Wildfires ravaged parts of the island in 2012. 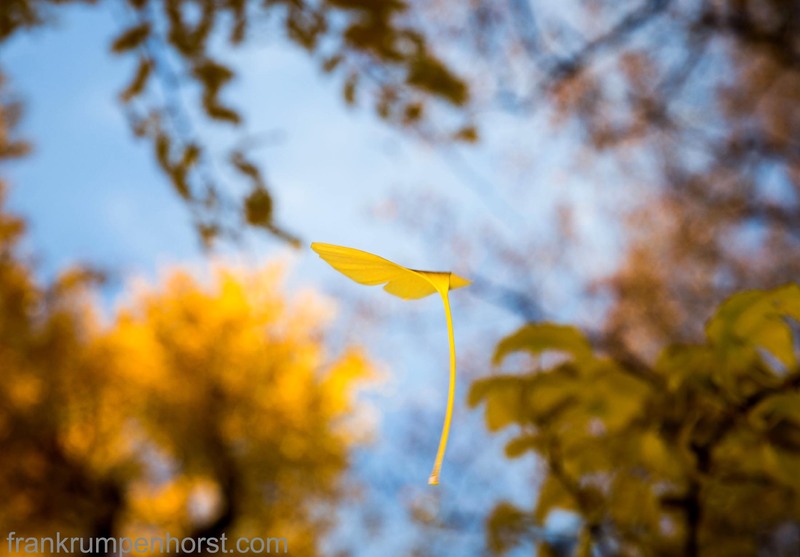 A yellow ginkgo leaf falls from a a tree in a park in Frankfurt, Nov.21.